Pictured Albert came through to finish in ninth place. Albert came through to finish in ninth place. 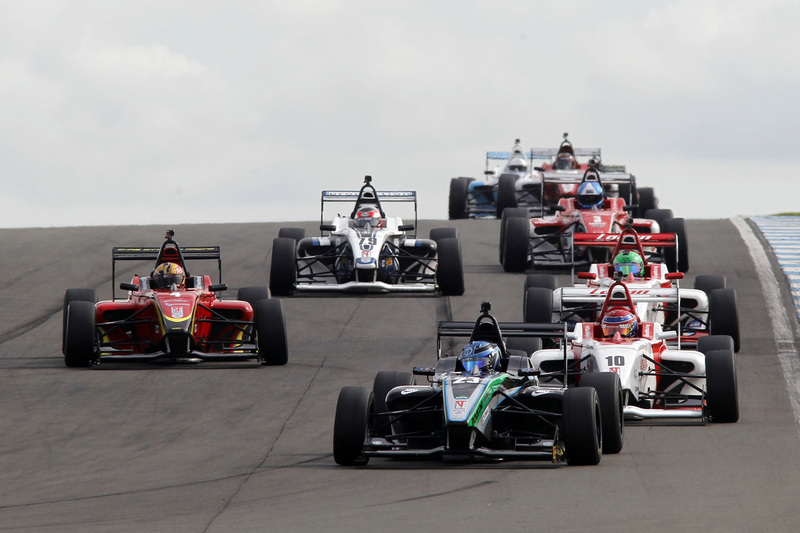 Duo BRDC Formula 4 Championship drivers Jordan Albert and Zubair Hoque experienced something of a character building event at Donington Park over the weekend, 12th/13th September, with the SWR pairing encountering a less than straightforward penultimate race meeting of the 2015 season. Race two on Sunday morning, round 20, held the most promise for the Chipping Norton squad with multiple race winner Albert beginning the contest from pole position. Unfortunately, though, he was adjudged by officials to have fractionally jumped the start and instead had to settle for eighth place after the application of a time penalty. Although missing out on adding to his season podium tally, the British youngster still chalked-up important points with eighth in round 19 and ninth in round 21. The net result is retention of sixth in the championship ahead of the championship finale at Brands Hatch a fortnight from now where he still has a slim chance of ending the campaign in the series top three. 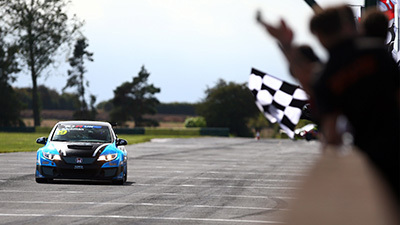 Hoque produced a best result of 12th position in the second of the weekend’s races, book-ended with 13th in the opening encounter and then 16th place in the final contest. He concluded his first race meeting at Donington 13th in the standings, just eight points shy of the coveted top 10. 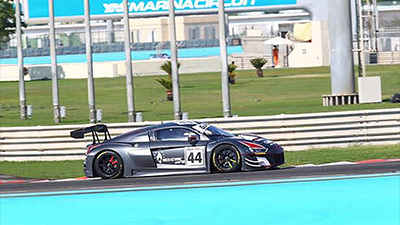 “It’s been a tough weekend for Jordan and Zubair, qualifying didn’t go according to plan and then the races were a challenge”, reflected SWR team owner Sean Walkinshaw, “Jordan did a good job fighting through to eighth in race one, where we needed to be for pole in race two, but then he had the jump start. We appealed it as the car only slightly moved on the limiter, but the decision stood. After a difficult qualifying session on Saturday morning, which took place on a slippery track surface, Albert ended up with the 13th fastest time for the round 19 grid – after having no fewer than four lap times removed due to track limits infringements – with Hoque 18th quickest. Putting together an excellent opening lap to race one of the weekend, Albert gained three places to climb into the top 10 but was then frustratingly bottled up behind the car of Michael O’Brien for a few laps. 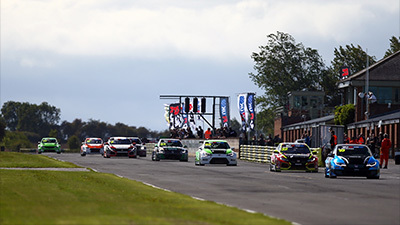 Moving into ninth as a result of Tom Jackson dropping back, Albert then managed to make the breakthrough to pass O’Brien on the fourth tour for eighth where he importantly remained to the finish – securing the reverse grid pole position for race two on Sunday morning. From the back of the grid, Hoque instantly made progress and by lap four he had broken into the top 15. Moving into 14th position on lap six, the Cheshire driver was then edged back again two laps later but following a pit-stop for Hernan Fallas he was able to re-assume 14th spot which he held to the finish. Post-race, though, Rodrigo Fonseca was excluded which hoisted Hoque into 13th place. Lining-up on pole position for round 20, Albert led away from the line but on lap two he was served with a 10 second time penalty after being adjudged to have made a false start. Continuing to lead on the road until lap five when passed by Will Palmer at McLeans, Albert held second all the way to the finish but on corrected times he was classified in a frustrating eighth position. Hoque, starting in 13th place, maintained position initially and then moved into the top 12 on lap three when Albert’s time penalty was applied. In the middle of an increasingly intense six car battle, Hoque had to take slight avoiding action at Melbourne Hairpin on lap five but emerged safely. Although edged back to 14th, Hoque continued to run strongly in the tightly packed bunch at the tail of the top 10 and on lap nine he was able to profit from a two-car tangle at the hairpin to leap into 11th position. Running just over a second shy of the top 10 into the final lap, Hoque also had to be aware of Jack Lang closing in and the SWR racer was edged back to 12th before the flag. For the final outing of the weekend, screened live on Motors TV, Albert started in 10th position with Hoque facing another very tough challenge from 18th place. 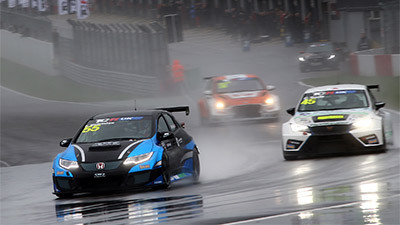 In a race featuring two separate Safety Car periods, Albert came through to finish in ninth place while Hoque managed to finish two places higher than his grid slot in 16th position. 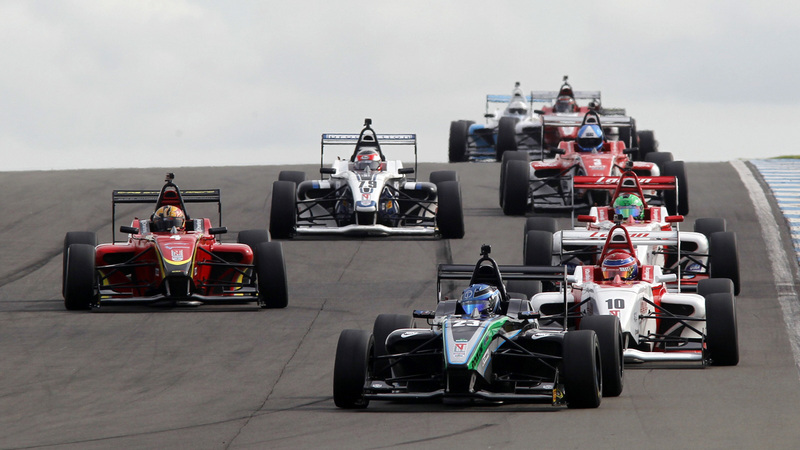 There are just two weeks to wait until the final event of the BRDC F4 season which will take place at Brands Hatch Indy Circuit in Kent over the weekend 26th/27th September.